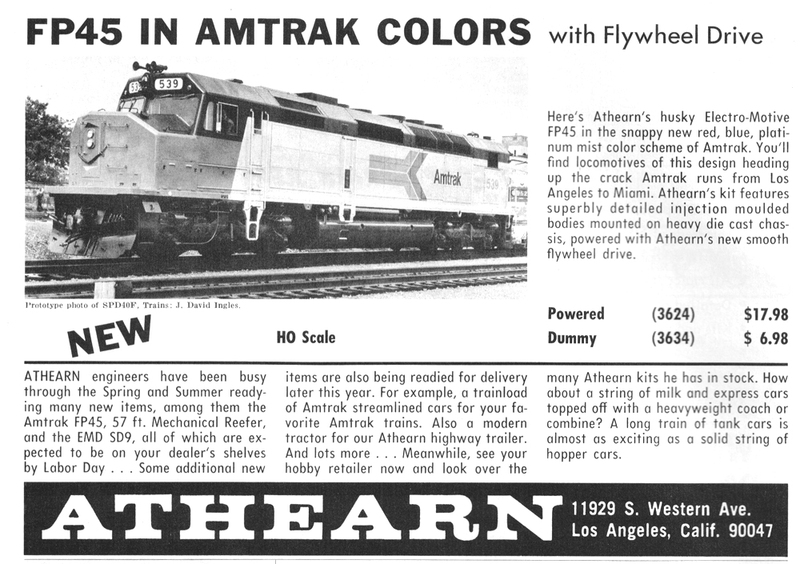 This October 1974 ad called for Southern Pacific and Union Pacific examples of the FP45, which Athearn did not produce. Stock numbers showed 3800-series, which also did not end up being part of regular production for this release. 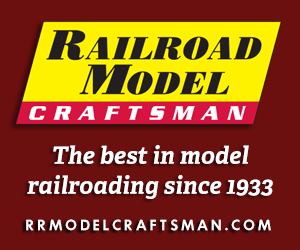 Athearn did stray from prototypes and offered Amtrak and Baltimore & Ohio FP45s. In strict terms, The Milwaukee Road FP45 model is not accurate in comparison to the prototype. The Milwaukee’s collection of five FP45’s did not feature dynamic brakes. Thus, the Athearn 1974 issue FP45 is prototypical only for the Santa Fe release. Santa Fe rostered the majority of EMD’s FP45 production, nine of the 14 built, and was the reported inspiration for the model. Illinois Central nearly got five FP45 diesels, but cancelled its order with EMD. Sadly, nobody has to date produced this almost Illinois Central FP45 in HO-scale and it is not known if the proposed locomotives would have received the road’s orange-and-brown passenger dress of the then-new orange-and-white corporate image. Given its minor position in EMD production, Athearn was surprisingly joined by not one but two competitors in offering a plastic 1/87th sized example. Lima of Italy made an FP45 that was marketed by AHM and Model Power in North America. Mehano of Yugoslavia built an FP45 that was in AHM’s line, following that company’s import of the Lima FP45, and later in IHC Hobby’s line. Thanks to its cowl-body design, Athearn’s FP45 and F45 diesel models both enjoyed correct scale-width hoods. Athearn practice of this time was to tool the hoods wider than scale to allow for the drive motors used. Metal trucks are standard on examples of the FP45 from its mid-1970s appearance into the 1990s, when Athearn begins offering plastic truck sideframes for its models.